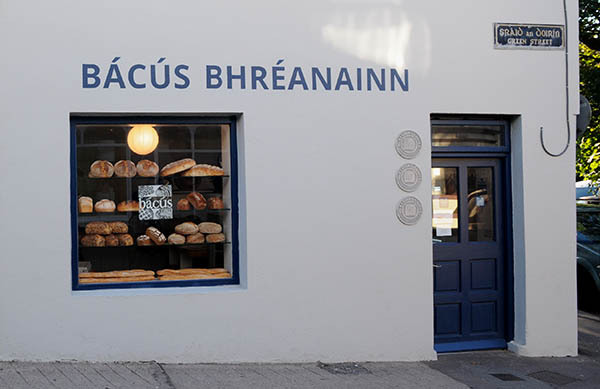 We opened our shop on Green Street in Dingle in July of 2018 where we exclusively sell Bácús products. Here you can buy a range of our bread, including sourdoughs, sodas and yeast and our delicious range of confectionary and cakes, including our customer favourite, cinnamon buns! All the confectionary and breads are delivered to the shop every morning before opening. Our breads are baked fresh each day. We work on a first come first served basis so get in early to avoid the disappointment of your favourite bread or treat being sold out! Don’t be shy, come and say Hello!